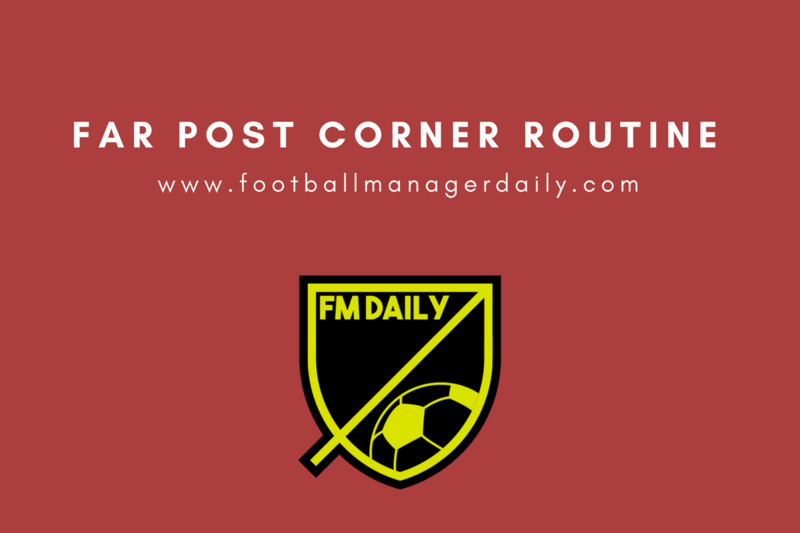 FM18 | Far Post Corner Kick Routine. Probably the most successful routine during Football Manager 2018 time. You maybe know I wrote about it earlier a couple of months ago. It was clear this routine was really exploited during first weeks or months of this edition before the first patch when it was taken a little bit back to “normal”. But so this routine is not too exploited I edited it slightly during the previous months when I had time to play. 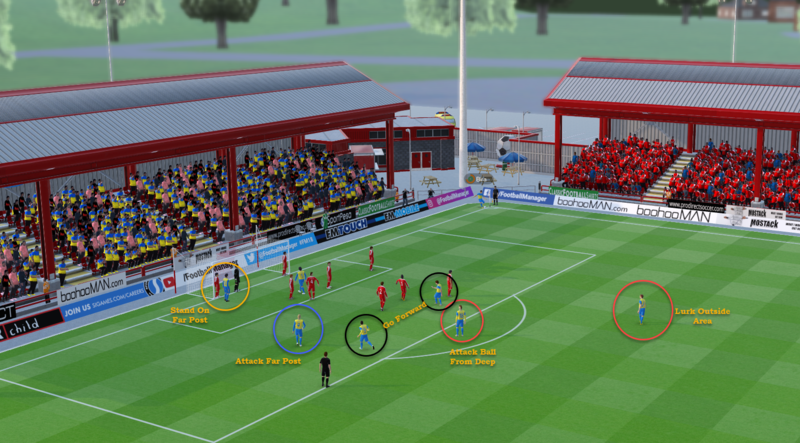 And I wanted to share my latest version of Far Post Corner Kick Routine for FM18. If you’re interested how the set-up looks like, it’s very simple. Logically, the aim of delivery is to Far Post. I always try to select a player with the best Corners attribute. In this example, it’s my striker who has an attribute for Corners 16. As you can see, both my central defenders are in the penalty area – Attack Far Post and Challenge Keeper. If I would play with the 3-man defensive line I would place the third central defender to Go Forward. In this case instead of the right defender. The main aim of this routine is to get the ball to the place where one of the big boys are and they can head it straight to the goal or they can flick it to the players around them. That’s also the reason why I decided to use the right-footed player on the left side and left-footed player on the right side. In this case, it resulted in a perfect goal. But not thanks to our big central defenders but my team scored because we use the player in the role called Lurk Outside Area. It was the goal of the moment. As always, the most important thing within all set pieces is to select players with the best attributes for a specific role. You can see four roles within this routine. You can say they’re not as good as you would expect. 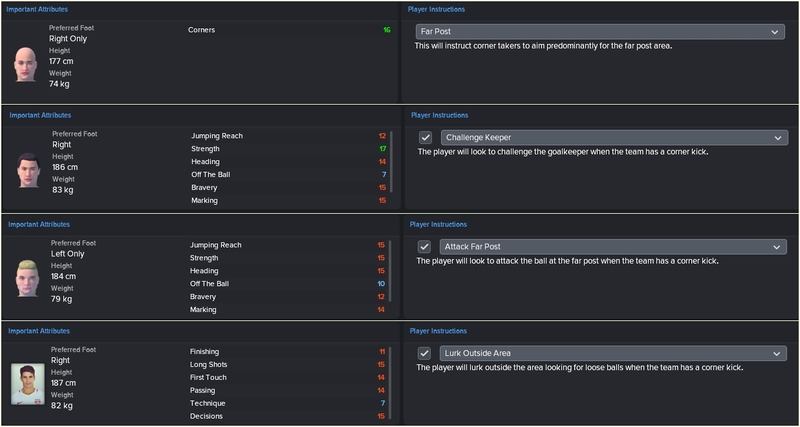 But it’s mainly because I made some changes in my save and many of my key and best players left the club. Six goals in the last ten matches thanks to this routine is the very good outcome in my eyes. Another example of this routine with a cross to a player who is outside of the penalty area. If you liked this Football Manager guide here are some more: 5 things to consider before you resign – 5 things to do after winning promotion.